FOR UPDATED 2015 SUMMER WORKSHOPS PLEASE CLICK HERE. 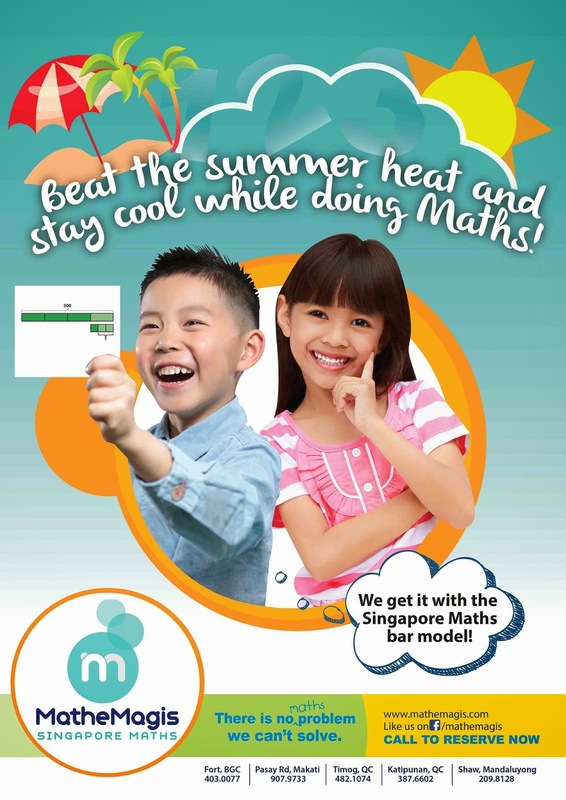 It's already the month March and don't we feel the heat of Summer already and and also feel the excitement of children as their school year's end is fast approaching? I definitely do that's why, as early as now, I am once again, compiling a list of 2014 Summer workshops, lessons, and sports clinics for kids in Metro Manila. As a practical mom, I'm sure you do not only save up for your children's tuition fee during the school year, but also for the summer lessons you plan to enroll them in. From this list you'll be able to select from an array of organizations and schools offering summer lessons for your kids that will best serve their interest and fit your budget too. I cannot stress the importance of learning, whether in formal set-up or through play. These summer workshops, lessons and sports clinics will definitely hone their skills in social interaction, intellectual development and of course confidence building. The list will include lessons for the following interests: Sports, Performing Arts, Academics, Personality Development and Culinary Arts Too. 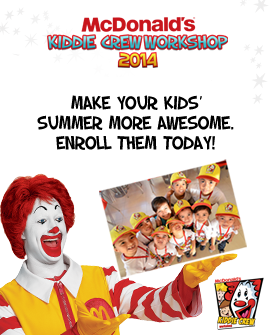 To download Registration Form and for more information, visit McDonald's Website HERE. 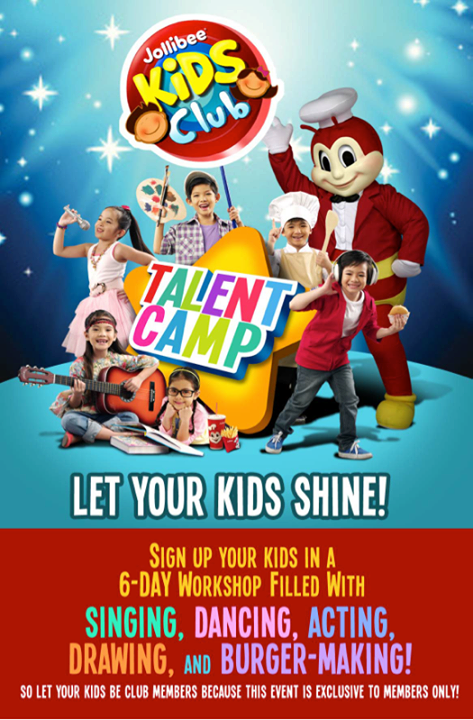 For more information, like Jollibee on Facebook or visit http://jollibeekidsclub.com/ for more details. Sports Clinic for the following: Badminton, Basketball, Swimming, Taekwondo, Bowling, Chess, Football, Gymnastics, Karatedo, Ice Skating, Table Tennis, Tennis and Volleyball. Visit Milo-Nestle WEBSITE for Registration Details, Schedule and Venues. Venues: 60 locations nationwide. Complete List HERE. 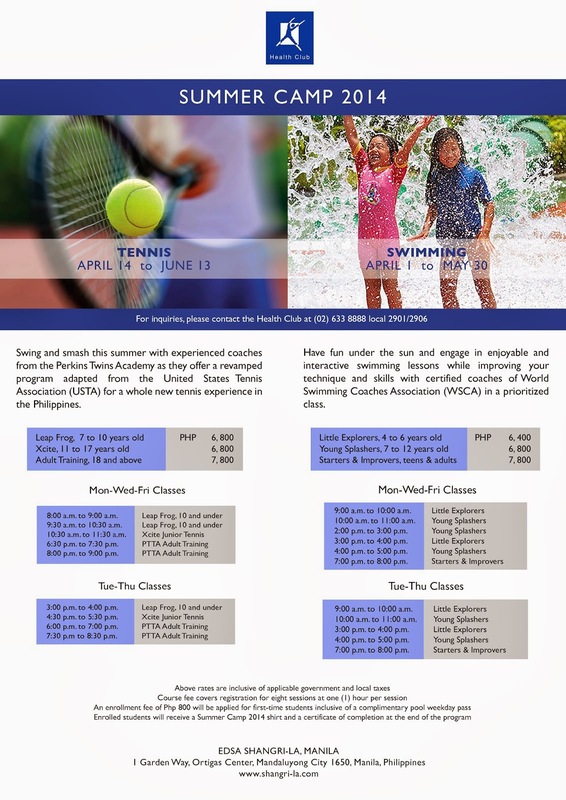 For more information, visit www.bertlozadaswimschool.com, like them on Facebook or call (02) 563-5532. Program/Lessons offered for: Infants and Toddlers, Kids, Persons with Autism, Stroke Efficiency for Adults, and Water Aerobics. For Schedule, Location and Rates, please check HERE. Call or Text 09176420123 to book your slots for the classes NOW! For more information, like STEPS on Facebook. 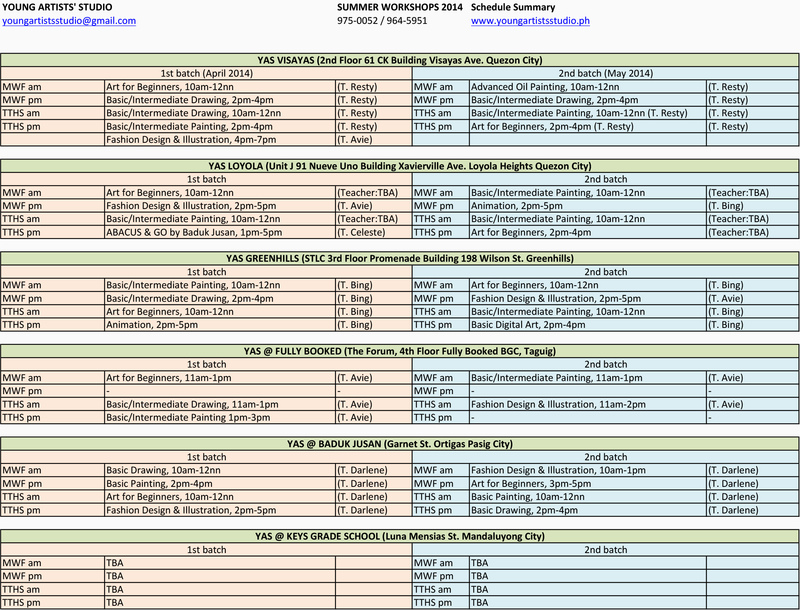 For complete list of schedule, location and fees, please visit their website HERE or like them on Facebook. 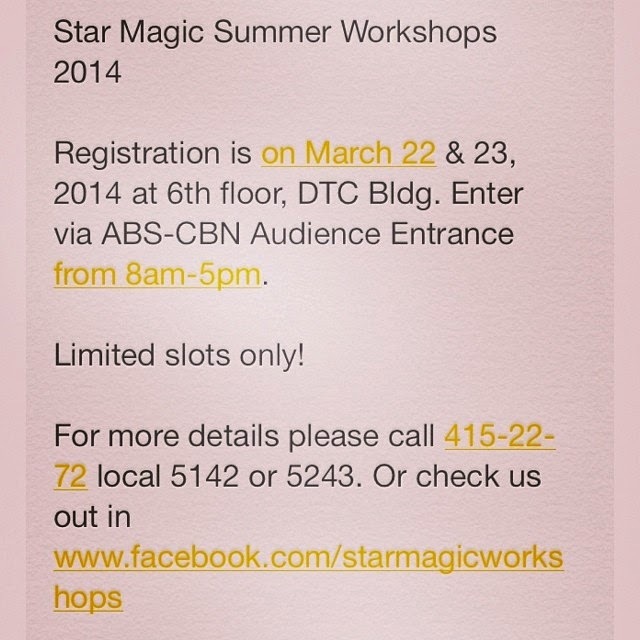 Registration Venue: DTC Bldg via ABS-CBN Audience Entrance. 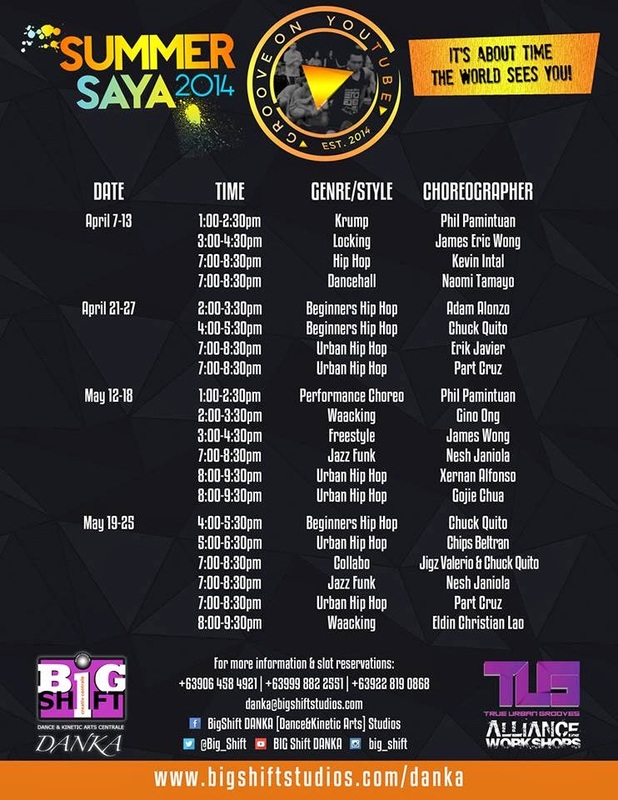 Dance Programs: Krump, Locking, Hiphop, Dancehall, Urban Hiphop, Performance Choreo, Jazz Funk, Waacking, Freestyle, and Collabo. 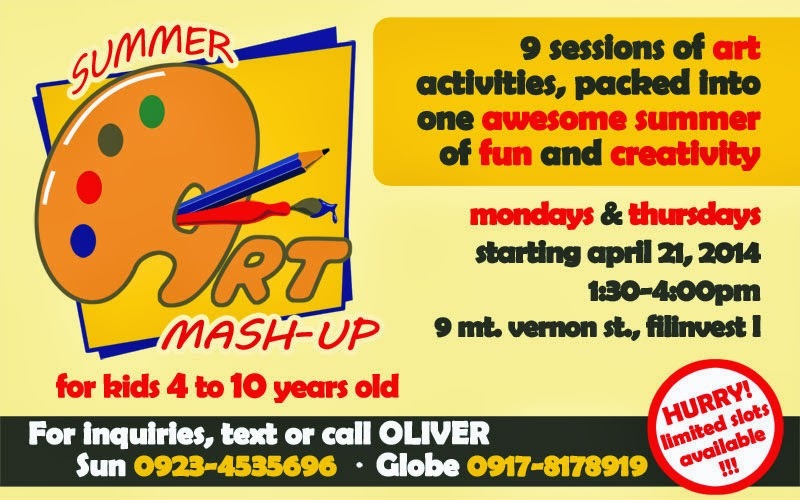 Funshop Fee: Php 5,995 / 40 Sessions or more! For more info, please call: 5856539 / 6219068 / 091755DANCE (+639175532623) you may also like them on Facebook for updates. Course Fee: Php 3,000 to Php 4,000.00 for 12 sessions. For more information, visit their website www.actsacademy.com or like them on Facebook. For course fees and schedule, please visit Ballet Philippines website. You may also call 02-833-3244 for inquiries. 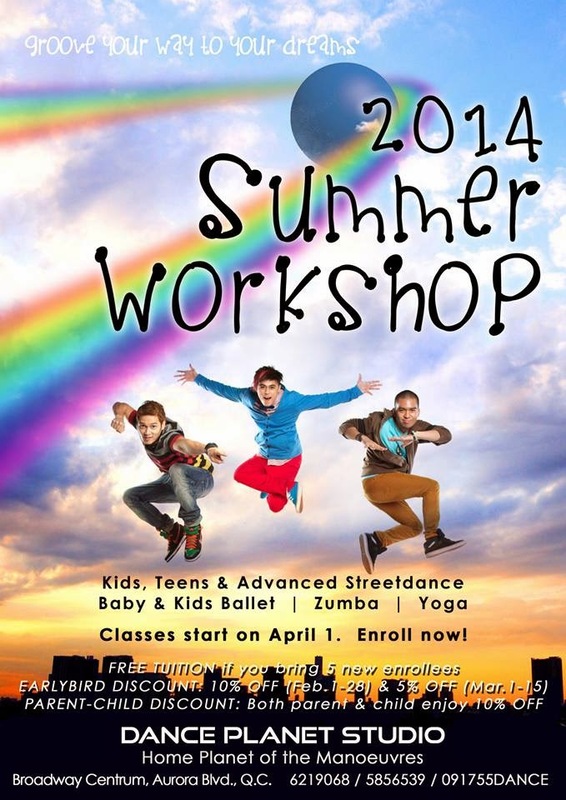 Courses Offered: Children's Theater/Musical Theater, Streetdancing, Hosting & Public Speaking, Modeling and Starpower. Courses Offered: Theater Musical Classes for Kids, Teens and Adults and Advanced Acting Classes for Adults. Course Fee: Php 7,000 for Theater Musical Classes/ Php 8,000 for Advance Acting Class for Adults. For reservation and more info, like them on Facebook. For information on their course offerings, schedule and fees, like them on Facebook. For inquiries, please call 6379840 | 914-5055 | 0917-9096484 or visit their school at the lower level of Robinsons Galleria, Ortigas,Quezon City. 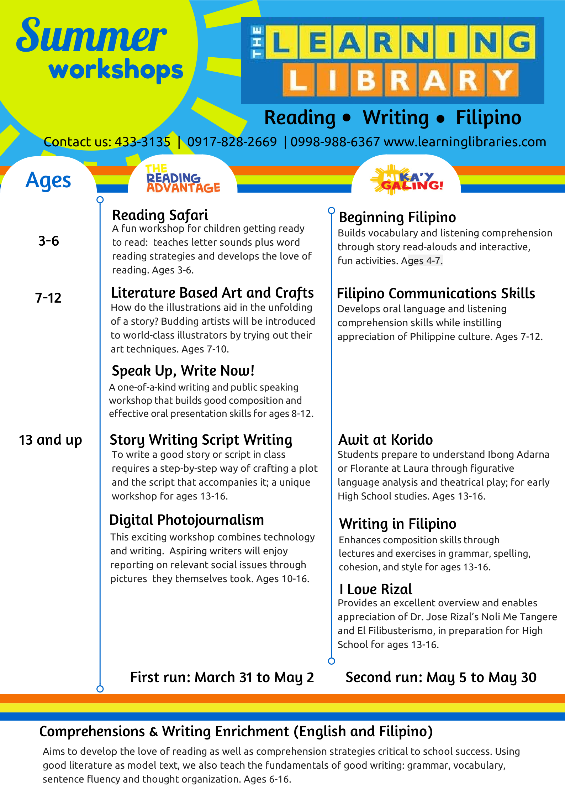 Fee: P3,500 (all 8 sessions) or P450 per individual session. 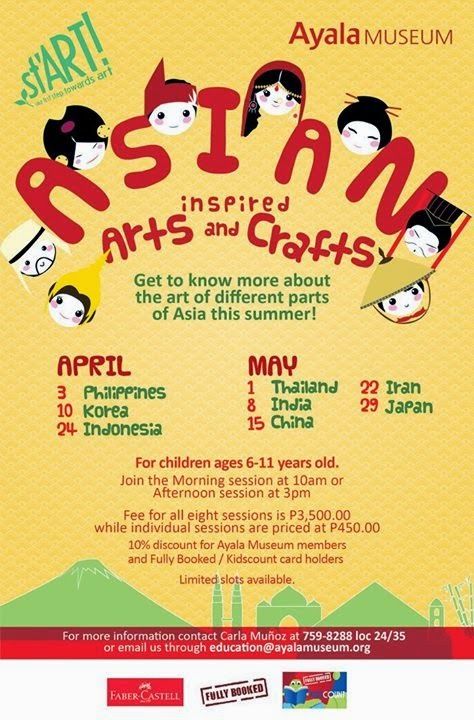 For more information, please email education@ayalamuseum.org or call Carla Munoz at 759-8288 local 24.35. Like them on Facebook of check their website for more details. Program Offers: Basic forms and shapes, principles of light and dark, shadow analysis, color theory, color matching, depth , composition, size proportions. For Ages: 7 to 97 years old. Contact Details: 671.9121 or 964.1452. Class Duration: 4 sessions, 3 hours each session. For more information, visit Museo Pambata's website. 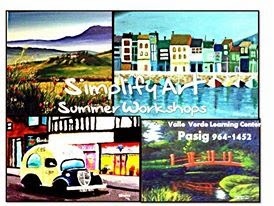 Courses Offered: Art for Beginners, Basic and Intermediate Drawing and Painting, Animation, Fashion Design and Illustration, Basic Digital Art, and Advanced Oil Painting. For more information please visit their website HERE or like them on Facebook. For more information, visit UP Film Institute website HERE. Venue: Adarna House, Inc. Sct. Fernandez cor. Sct. Torillo, QC. For more information, please call 433-3135 or Mobile: +63998-988-6367 / +63917-828-2669 or Email: inquiry@learninglibraries.com. You may also like them on Facebook or visit their website for more details. For more information, like Mathemagis on Facebook. For more information, call 8056497 or like them on Facebook or visit their website. These are some of the Summer workshops, lessons and sports clinics offerings I was able to gather from different sources. I will keep updating this list as soon as I get new information on other summer activities. So do come back for more summer lessons for your kids.